HUSH-KIT EXCLUSIVE: No.1(F) Squadron RETURNS AS TYPHOON UNIT! What’s in a name? 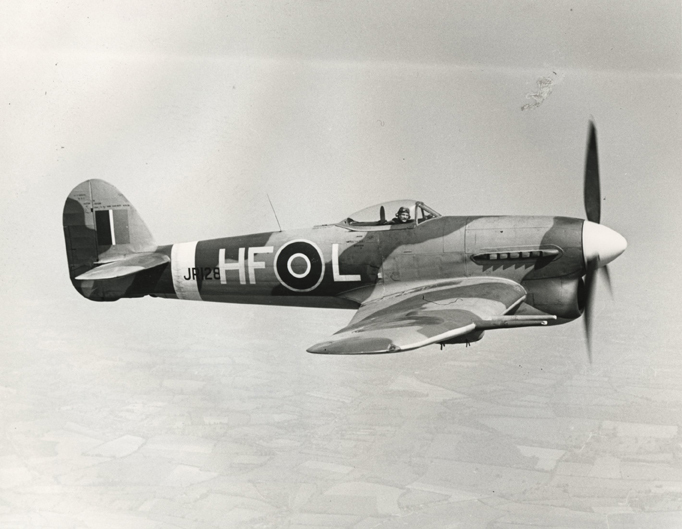 The Hawker Typhoon was loud and powerful with a big gob, and so is the Eurofighter Typhoon. Number 1 (Fighter) Squadron received its first Hawker Typhoon in 1943, in 2012 it will receive its first Eurofighter Typhoon (the multi-role FGR.4). The Royal Air Force announced yesterday that this 100 year old unit, which has served in almost every campaign featuring British forces for a century, will become the fourth frontline Eurofighter Typhoon squadron. On September 15 at the Leuchars Jubilee Air Show, No.1 (Fighter) Squadron will officially stand up. It will be the second Typhoon Squadron based in Scotland, following the stand up of No.6 Squadron at Leuchars in 2010. No.1 will be the second RAF Squadron to have operated both generations of Typhoon, the first being No.3(F) Squadron, which flew the mighty Hawker Typhoon from 1943-1944. No.29, today the RAF’s Typhoon Operational Conversion Unit, was flying de Havilland Mosquitos in 1943, whereas No.6 Squadron was equipped with the tank-busting Hurricane Mk. IID (it would later get Spitfires and Tempests). No.11 Squadron was also a Hurricane unit in 1943 and was based in Burma. No.17 Squadron, the current Typhoon Operational Evaluation Unit was under the banner of No. 691 Squadron in 1943 flying Fairey Barracudas and later Boulton Paul Defiants.